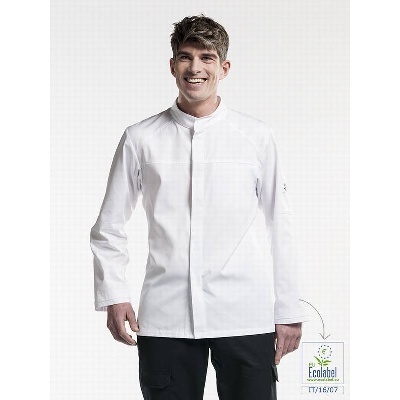 With its slim cut, Chaud Devant Chef Jacket Salerno is the ideal blend of elegance and comfort. The lightweight fabric makes you feel comfortable even during the busiest times of the day. The smooth finish in the middle gives it a modern touch, and the extra breast pocket completes the look. The light weight fabric keeps you comfortable, even during the busiest moments of the day. Tip: For a casual look, leave the top button open.